Artist Vincent Van Gogh spent two years living in the village of Nuenen in the Netherlands and today the village serves as an open air museum in his honor. Importantly, Nuenen is where Van Gogh painted his masterpiece, The Potato Eaters. Visitors can follow walking or cycling routes through the village, passing 21 locations related to Van Gogh’s stay in Nuenen. Fourteen of those locations were painted by Van Gogh on at least one occasion. Information columns stand outside of most of the locations to provide visitors with insight as to their significance. The Vincentre is the visitor center in Nuenen and serves as a good starting point for walks throughout the village. The building previously served as the town hall from 1874 to 1953. Inside the Vincentre, a permanent exhibition uses advanced technology to tell the story of Van Gogh and Nuenen. 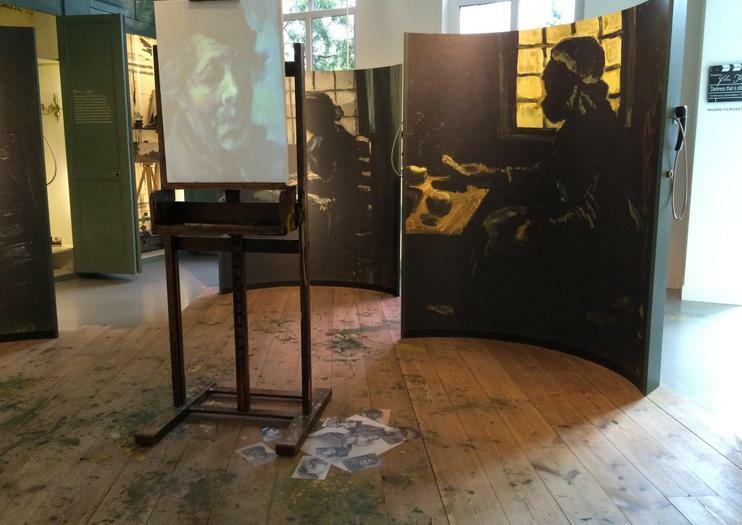 Visitors can hear from people Van Gogh knew, follow his footsteps to where he traveled before arriving in Nuenen, experience the atmosphere of when he arrived in 1883 and listen to passages from letters he wrote. The village of Nuenen is located between Eindhoven and Helmond in the Netherlands. The Vincentre is located on Berg 29 in the center of Neunen and is open Tuesdays to Sundays from 10:00 a.m. to 5:00 p.m., with special hours on certain holidays and occasional extended hours. Admission is 7 Euros and an audio guide is 1.75 Euros. In March 2017, two stolen Van Gogh paintings were returned to their rightful place in the Van Gogh Museum. To celebrate the reinstatement of ‘View of the Sea at Scheveningen and ‘Congregation Leaving the Reformed Church in Nuenen’, embark on a 9-hour Van Gogh walking tour including skip-the-line entry to the eponymous museum. Follow in the footsteps of the legendary artist as you explore Nuenen, home to the Vincentre Museum, and cruise along Amsterdam’s UNESCO-listed Canal Ring. Small-group tour limited to eight art lovers. On this full day-trip, you will be immersed straight into Southern Dutch culture, venturing to the region of Brabant. We will take you south to the village where Vincent van Gogh lived and produced some of his most remarkable work.Includes:-A guided walking tour-A guided visit to Salon Nune Ville-A high quality lunch at a beautiful location-A Vincent themed arts and craft session with local artistsWith a local expert guide you will discover this quaint, Southern Dutch village. You can wander the streets, visit an 18th century home and perhaps discover your inner artist all in one day.